Step into "Sunshine Of My Life" and you and your lover will be translated to a happy place where every thought and dream is filled with bright colors and a sense of well-being and expectancy. With God's "happy color" yellow as the foundation you will be surrounded by red tulips, hearts and reminders of love at its best. 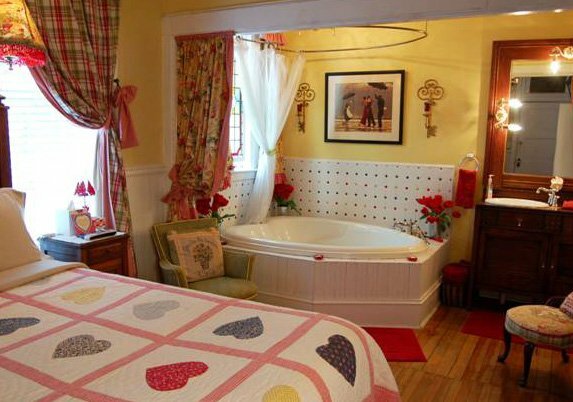 Easily accessible, this suite is on the main floor of the mansion, with a heart-shaped whirlpool tub for two and a hand-held shower. 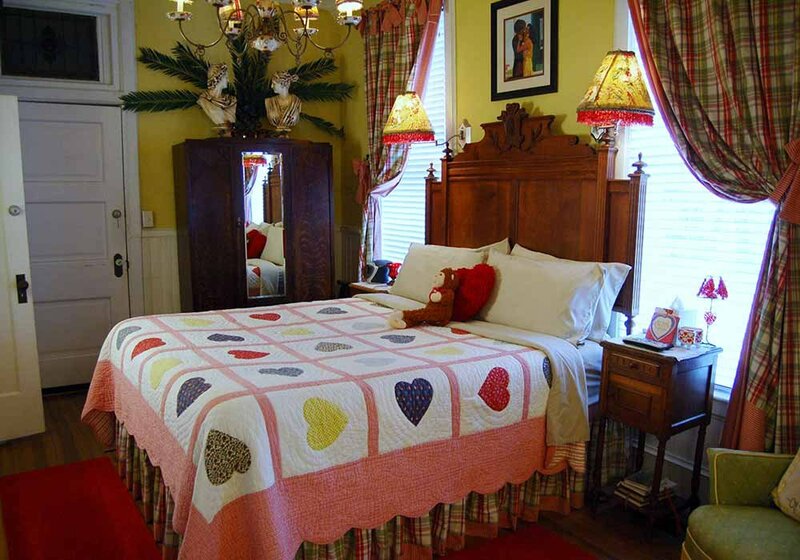 An extra large tv/dvd player makes watching a romantic flick fun from the California king bed or the tub. Formerly the kitchen in 1893, the old wainscoting is still intact and tends to give a cottage effect to this enchanting suite.